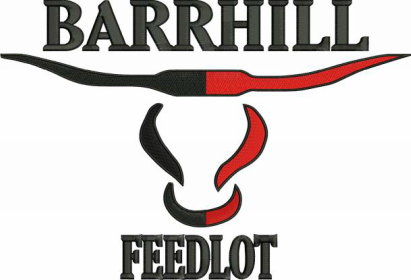 The Barrhill Lot is a custom feeding cattle operation located north of Picture Butte Alberta, Canada. The feed yard has a capacity of about 25,000 head of cattle and there is still room for expansion. We are a finishing feedlot that ships to packing plants located locally and in the U.S. The feedlot is owned and operated by Kenneth Van Raay. Ken has been apart of the Canadian farming and feedlot industy his whole life. He runs the Barrhill Lot with the help of his wife, Lori, his children and the feedlot foreman. The feedlot operates day to day with the help of about 20 feedlot and farm employees. Since Kennneth's purchase of the feedlot, the business has grown. The feedyard was expanded by adding one more alley in September 2013 and a new feedmill was constructed in 2011. Recently (Febuary 2014), our in-barn chute system was renovated to better insure proper and easier cattle handling and efficient export testing. In August 2014, we not only did an extensive office expansion but also added the final alley to the feed yard. As well as the feedlot, Ken Van Raay owns and farms land to produce feed for the Barrhill Lot. Both corn and barley are grown to create silage for the cattle in the yard. The feeding program at Barrhill is desgined to ensure maximize cattle gains. Ken Van Raay Inc. also grows wheat and canola as cash crops.